Here’s a dump truck to go with the Bobcat we featured earlier! 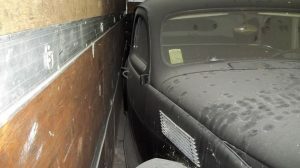 In Connecticut, at more than 25 years old, this truck, for sale here on craigslist in the town of Monroe (near Bridgeport) qualifies for “classic” status. With only 18,000 miles, and looking very spiffy, it seems likely that this great looking truck will end up in the hands of someone will to put it back to work. And this is a tough truck. It’s rated for 25,200 GVW, is equipped with the sturdy 366 cid gas engine, a 10′ Heil Dump body, 5 speed manual transmission with 2 speed rear, 4 wheel disc brakes, side boxes, Pintal hitch, and tow hooks. The truck’s paint is very shiny, and according to its owner has never been used in winter and “drives like new”. It comes with the original build sticker. Without doubt, this vehicle has lived a sheltered life. It’s been run and moved in the owner’s yard regularly. It will need some work done on the exhaust, but I had trouble decoding what the seller is saying about that. There are certainly collectors out there who have the space for storing and maintaining big trucks like this one. $8,500 seems pretty reasonable, given the cost of trucks these days. A new dump body like this one will run almost the cost of the truck being sold here. 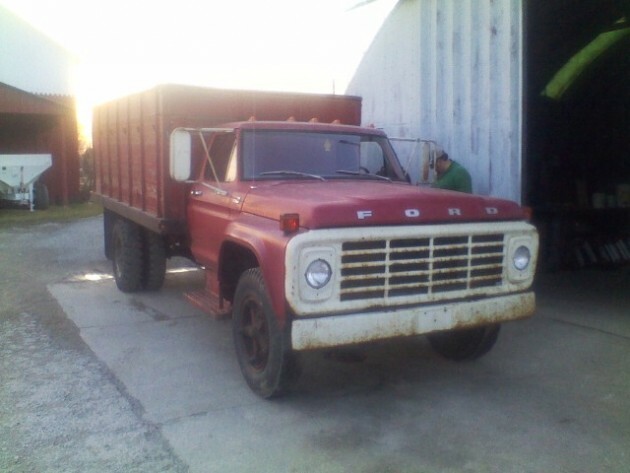 So is this beauty a collector’s piece or just an old dump truck that should get back to work? Looks like she’s got a CB, BREAKER BREAKER, what’s yer 10-20? 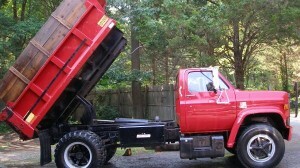 18,000 miles on a dump truck!! If that is true, why? Did someone have money to burn and bought a dump truck? It had to have been a Government truck…..they are the only people that can spend a lot of money on a piece of equipment and not wear it out paying for it. This again is top retail, would sell for 1/2 the price dirrect. 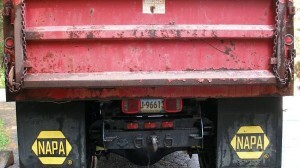 The truck has undesireable spoke wheels and is too inefficient for heavy modern use. 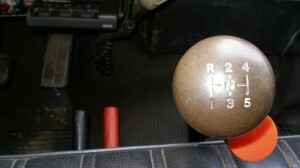 The 366 is a good engine but not comparable to a modern diesel in power, maintenance or economy. it would work well for casual use by a landscape contractor or somebody like that. Commercial insurance is also high for older trucks like this encouraging people to buy newer equipment. This thing does seem kinda silly for a collector now, but a 75 year old truck would be considered differently. This thing will get there. This might be one of a kind for 1988. 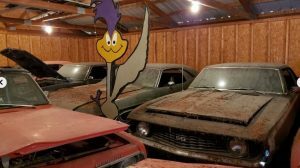 It’s perfect for trailering collector cars to the show. Another cool find. I hope we left the nay sayers on the Bobcat thread. This was probably a landscaping company’s truck, they do very little, maybe tow a machine( like the Bobcat) to the job site and sit, hence the low miles. To be clear, that’s not a CB, it’s a 2 way Motorola radio, and it’s “pintle, not pintal”,( I know, big deal, hey?) and it is pretty clean. I think they mean, the calipers are not hung up, and work ( a common problem with a vehicle that sits). The gas job is probably not the best, but for small stuff, a gas motor is more civilized than a diesel, and the 2 speed axle, should get down the road to the dump site, just not too fast, and probably gets 5 mpg. Still, looks like a good truck, except, the “tube-type” tires would HAVE to go. Perhaps someone could start a site for interesting used construction equipment? Anyone got an interesting name for it? 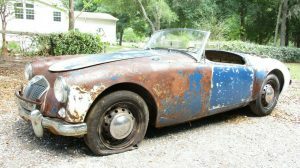 Or are we changing the name of this site because we are bores with barn finds? Hi Howard, Can those cast spoke wheels be converted to a tubeless rim? It is not easy or cheep. We tried o change over these Gunite wheels for buds fo a client when I managed a truck brake and suspension store. 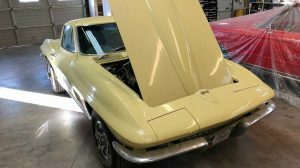 The rears are not bad……you just change out the entire axle but the fronts required changing everything from the spindle out. Hi Ed, yes. These look like either 9.00×20 or 10.00×20 tube, and an 11×22.5 tubeless will fit those spokes. If you want 10 hole Budd wheels, it’s a big deal to change, like Dave sez. Very Strange, Most of the Time these have Hundreds of thousands of Miles on them by the time there 5-10 yrs old and Get Driven into the Ground. Would be a Good Farm or Ranch Truck. No CDL needed ( it’s under 26,000 # gross, or total weight with a load) at least in Wisconsin. I’m thinking that a private owner with a chunk of land bought it new because he was weary of paying for delivery of a dump-load of his favorite landscaping material every time he had a project going. Maybe also tired of working on someone else’s schedule? Dang it… Wife and I are thinking of investing in a parcel of land. 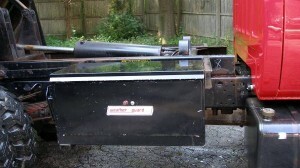 This would be ideal for hauling driveway stone, etc. This truck and the grader I missed out on a couple of months ago were both too early. I need to get the land an a barn before I buy stuff to put in it! My family just picked up the Ford version if this truck to use as a secondary grain truck on our farm. 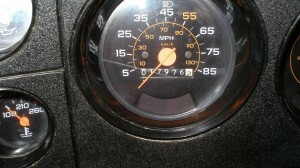 It’s a ’75 F600, with 38k original miles! And the best part was my brother bought it at a farm auction for $700, then drove it 2 hours home. It’s in perfect shape, and I love it! Hi Jake, great find, but just for the record, your truck isn’t exactly the Ford version of the GMC featured. 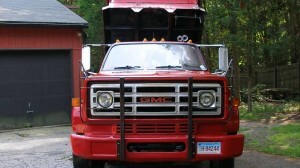 The GMC is strictly a dump truck, as your truck, while it may have a dump hoist, was more of an “all around” farm truck. Every farm had one ( or more) As more and more small farms go under ( I know, I live in Wis.) these are showing up, and one can get a great deal. I’d take your Ford any day over the GMC dump truck. When trucks were trucks. Thanks for the kind words, guys! I think it’s a great find too. I can’t wait for the weather to get better here in Ohio so I can start working it. I love driving that old truck.